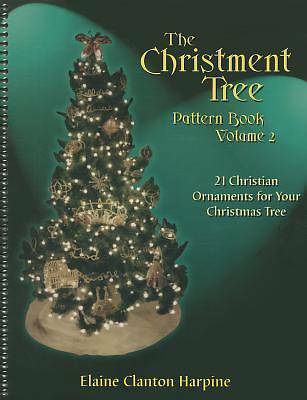 Twenty-one more Christian ornaments for your Christmas tree by Elaine Clanton Harpine. The first collection of Christment patterns was so successful that we asked the author to come up with twenty-one more all-new beaded ornaments. This new collection, with the theme of "We Follow Jesus," will add beauty and Christian significance to your Christmas tree. These Christments may be used alone or as a complement to the first set. New features in this set include braided beads, twisted figurines, varying sizes and colors of beads and writing in script. Christments for every age and skill level are included with a designated difficulty level for easy reference. Supply lists, construction diagrams and a photograph are provided for each Christment. Great for an Advent workshop! Don't forget to pick up Volume 1 and Volume 3, if you don't already have them.